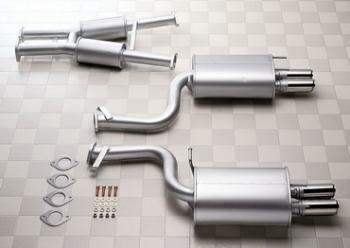 Specifically engineered for turbo applications that require greater flow capacity than naturally aspirated applications, Turbo Exhaust systems use a straight through design. The increased flow characteristics offer a gain in boost pressure, boost response, a broader powerband and increases overall peak horsepower. Performance increases vary by application, with average gains of 10-25 horsepower.